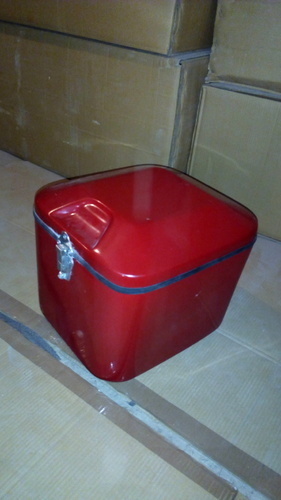 We offer a wide range of FRP Delivery Boxes. The provided part is manufactured by making use of superior quality fiberglass reinforced plastic in compliance with set industry standards. Established in the year 2006, we "Akshay Lal Fibre Glass", are engaged in manufacturing and supplying an extensive range of Glass Finish Sheet, FRP Portable Cabin, Fibre Glass Product and FRP Fibre Product. These products are fabricated in accordance with the set industry norms using supreme quality fiber glass and other allied material under the supervision of our skilled professionals. Available in various sizes, designs, shapes, finishes and other related specifications, these products are widely acclaimed all across the market owing to their optimum strength, attractive look, easy to dismantle, abrasion resistance and UV resistance. Our offered products are rigorously checked on various quality parameters in order to deliver a perfect range of products at the clients’ end. The offered products are also available with various customizations as per the detailed specifications of our clients.